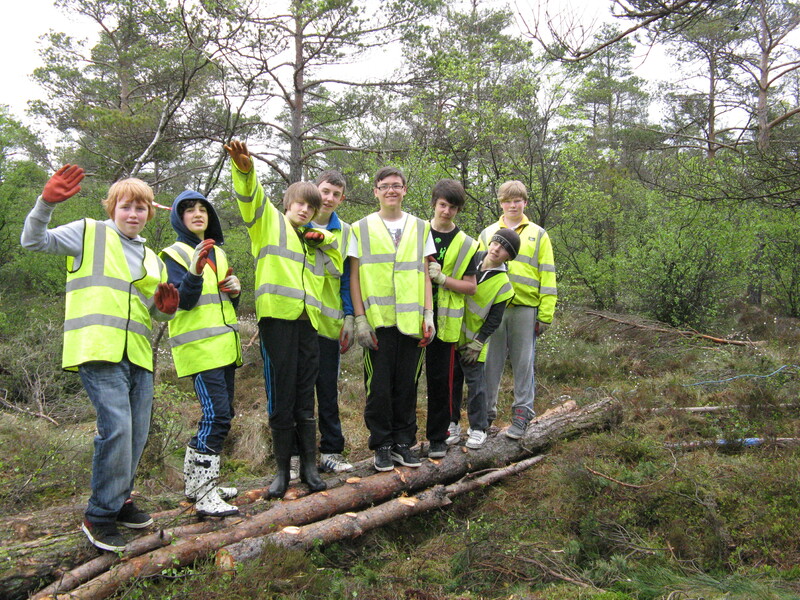 Bespoke is often involved with local schools, whether this is to aid pupils in gaining awards such as the John Muir Award or to act as a platform for school leavers to gain some valuable work experience. Frequently our partnerships with schools are also utilised to help focus the energy of students who feel constrained by a classroom environment and does this by taking them outdoors to deliver positive outcomes for the local community of which they are part. Bespoke does this work in partnership with the schools and Falkirk Councils Educational Support Team. For more information please get in touch. Posing after a hard days conservation work!